If you’re shopping for an SUV that can carry the whole family and still have plenty of room for groceries or sports gear, the Honda Pilot is a great choice. As a recent Car Connection review states, “Few crossover SUVs handle passengers and their gear better than the Honda Pilot”. Browse our current Pilot inventory, then contact us to schedule a Denver area test drive today! 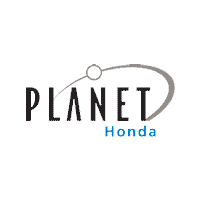 Why Buy a New Honda Pilot at Planet Honda? If you have any questions, or would like more information, just give us a call at (303) 215-4200 #2.